Posted on 10/24/2018 by Mickey McCarter	in Live Review and tagged CHVRCHES, Glasgow, Lauren Mayberry, Scotland, synthpop, synthwave, The Anthem. 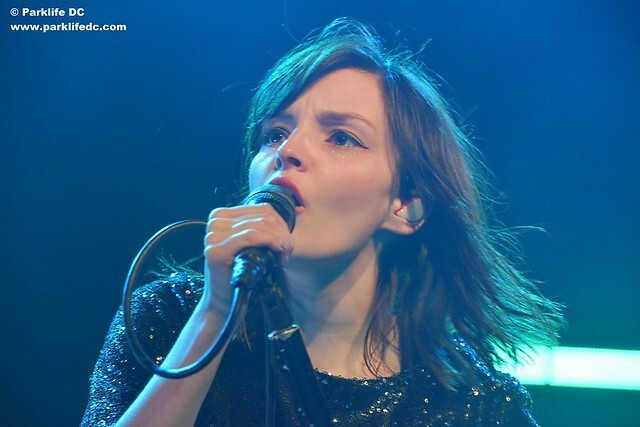 Lauren Mayberry, ever chipper, bantered with the audience during the sold-out show by Chvrches at The Anthem recently, making reference to an unkind review from earlier in the band’s career. 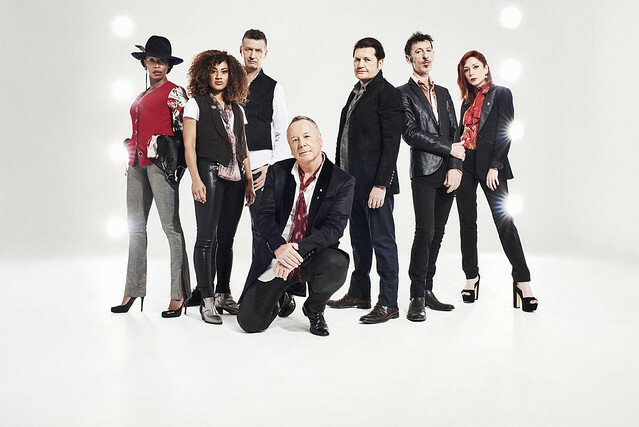 Posted on 10/09/2018 by paivi	in Live Review and tagged 9:30 Club, art rock, Glasgow, new romantic, new wave, post-punk, Scotland, Simple Minds. 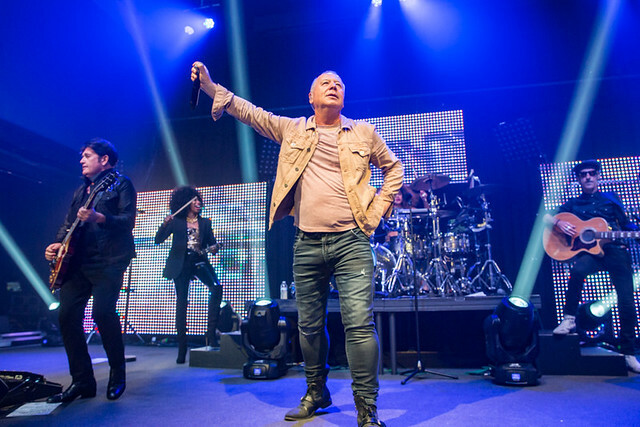 Jim Kerr and Charlie Burchill swung by 9:30 Club with a new-look Simple Minds and delivered a career-spanning, stunning, and extremely satisfying show on Saturday. 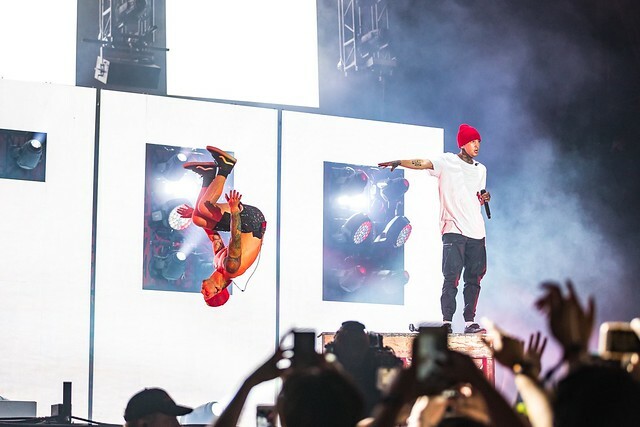 Posted on 06/20/2017 by Mickey McCarter	in Live Review and tagged alt hip hop, Delaware, Dover, emo, Firefly 2017, Firefly Music Festival, Franz Ferdinand, Glasgow, Los Angeles, music festival, Ohio, post-punk, power pop, Rivers Cuomo, The Woodlands of Dover International Speedway, Twenty One Pilots, Weezer. The sixth edition of the Firefly Music Festival delivered a diverse line-up over four days of musical performances June 15-18, 2017. Threatened rains stayed away, and artists as different as 21 Pilots, Bob Dylan, and Muse came to stay. 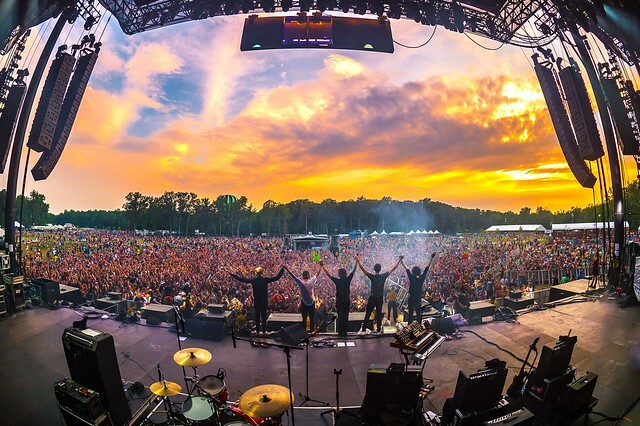 An estimated 90,000 people descended on The Woodlands in Dover, Delaware to watch more than 125 acts. Posted on 06/17/2017 by Mickey McCarter	in Live Review and tagged Alex Kapranos, Firefly 2017, Firefly Music Festival, Franz Ferdinand, glam, Glasgow, Julian Corriee, Miaoux Miaoux, music festival, new wave, post-punk, Scotland. Franz Ferdinand blew up the main stage of the Firefly Music Festival on Friday, June 16, igniting a dance riot with their well-recognized favorites but also introducing a few new songs and a few new members. Posted on 05/17/2017 by Mickey McCarter	in Live Review and tagged 9:30 Club, Frightened Rabbit, Glasgow, Los Angeles, Scotland, shoegaze. 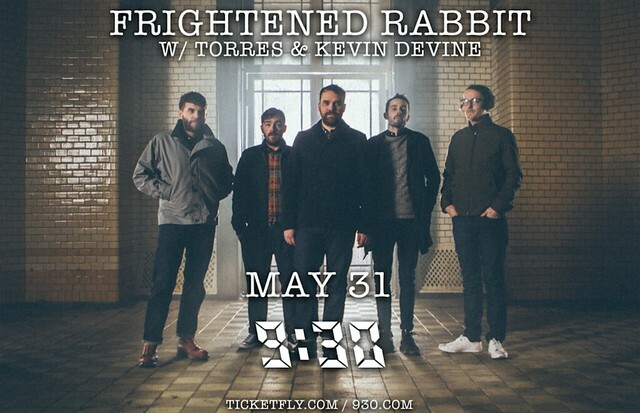 Rocking Scots Frightened Rabbit are coming around for a handful of US headlining shows in the wake of the release of their fifth studio album Painting of a Panic Attack about a year ago on Atlantic Records. 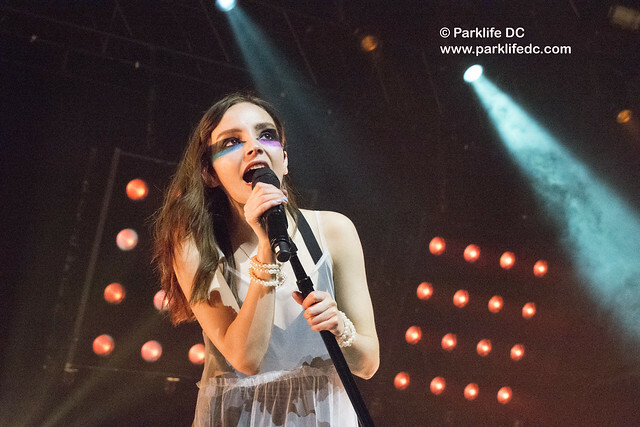 The band perform at 9:30 Club on Wednesday, May 31, and you can win tickets to go with Parklife DC. Posted on 10/24/2016 by Mickey McCarter	in Live Review and tagged CHVRCHES, Echostage, Glasgow, new romantic, new wave, synthpop. Chvrches’ plan now that they have completely finished touring the album Every Open Eye? The declaration that Chvrches would return in a few years drew a happy cheer from the sold-out Echostage, where Chvrches finished an epic tour on their sophomore album with two DC shows on Oct. 17 and 18. On the first of those two shows, the crowd swelled into every corner of the warehouse venue to show their appreciation for Chvrches, dancing excitedly to every one of 17 songs performed by the band.